When they work as they should, the garage door opener is one of those extras that really makes life easy. A push of the button and you can drive your car right on in. But, when they malfunction they cause a great deal of trouble that you are not going to want to experience. Broken Opener: Are you pressing the button but nothing is happening? This could signal an opener that is broken. After youâ€™ve ensured that you have power, check the circuit breakers in the home before calling professional help. Broken Springs: The springs are an essential mechanism in the functioning of the garage door opener. If the spring breaks the door cannot move because it has no support. Again, this is a repair that must be handled by the professionals. Broken Rollers: Rollers are found on each side of the garage door. They enable it to slide down or up to close or open. These are commonly damaged simply as the result of wear and tear. Keeping the rollers lubricated will ensue the longest lifetime of your rollers. Jammed Door Opener: A jammed garage door owner can be caused by the locking bar becoming jammed close. If it is only moving a small fraction when you try to open it, this may be the issue. In most cases of jammed doors it is the help of a professional required to make things work properly again. Sensor Problems: Sensor problems are also very common. The sensor tells the door opener when to do things, and if it is not working there is no way for the door to work properly. This problem can cause a wide variety of different issues, so make sure that you seek repair quickly. Cable Problems: Frayed cables are dangerous. They can snap and someone can become injured. The car could be totaled and other problems can develop. Check the wires on a periodic basis and if they are showing signs of wear, replace them. Youâ€™ve come to depend on the garage door opener to make your life easy, so none of these problems are very welcomed. However, knowing that most issues that develop with the garage door opener are minor and easily repairable makes matters much better. 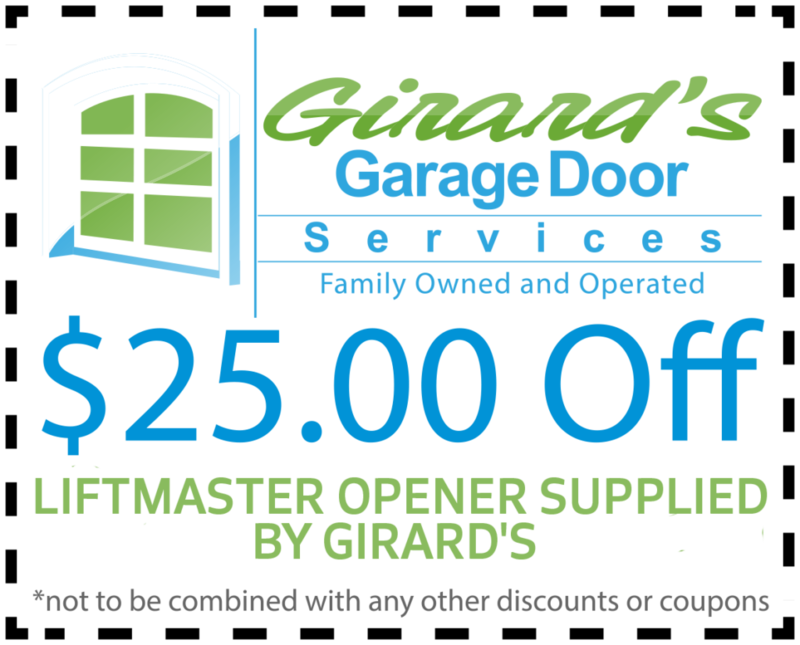 If you are experiencing these problems, or others, with the garage door opener, seek Girards garage door repair services atÂ garagedoorsvc.com . The problems will only get worse and be more difficult to repair the longer that you put it off.